During the winter months, the average high air temperature is in the mid-40s °F and the average low is in the mid to high-20s °F. In the summer months, the average highs are in the low-80s °F and the lows in the mid to low-50s °F. At least seven months per year, daily maximum temperatures reach the outdoor comfort zone. Sunshine occurs over 75% of the time during daylight hours each year for 273 sunny or partly sunny days. From November through March, 78% of the yearly precipitation occurs, mostly as snowfall. Typically, at lake level in Tahoe City, 15.8 feet of snow falls over winter and accumulates to a maximum snow pack depth of 2.8 feet Summers are very dry and there is less than a 10% chance of getting more than 0.1 inch of precipitation between May 1 and October 15. 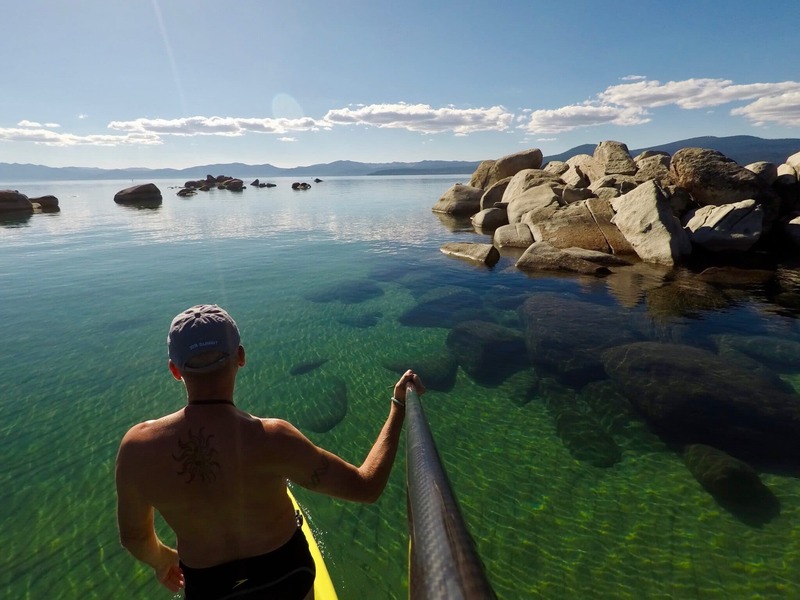 This entry was posted in Lake Tahoe and tagged #onelakeonelove, Friday facts, lake tahoe. Bookmark the permalink.